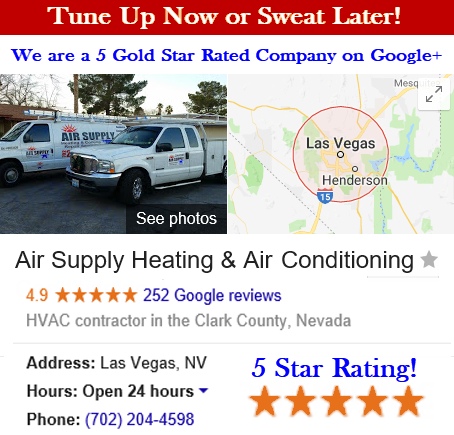 Air Supply Heating and Air Conditioning is a full service HVAC system contractor, completely licensed and insured to provide commercial businesses and residential homes throughout the Las Vegas, Nevada Valley with quality services. 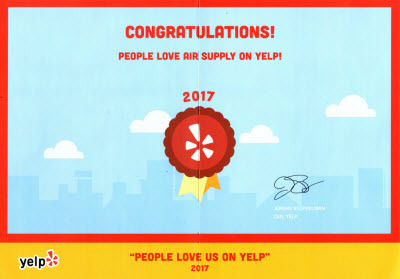 With our family-friendly customer service, traditional values, and superior execution on all services rendered on a consistent basis, you will see why so many Las Vegans have come to trust in the leading experts of Air Supply Heating and Air Conditioning. Our technicians are among the elite; having all the credentials and pertinent attributes that allow them to perform the services we offer with extraordinary results. 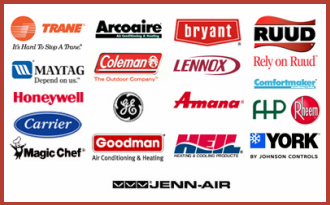 In addition to recruiting the best in the industry, Air Supply Heating and Air Conditioning exclusively utilizes high end products and equipment to ensure that our valued customers receive nothing less than maximum quality workmanship. Air Supply Heating and Air Conditioning offers troubleshooting services include taking care of the air conditioning wiring that occurs on the commercial and residential central air conditioning systems in the Las Vegas, Nevada Desert. The air conditioner is one of the larger appliances that operate in your home or business and with as large as it is, there is a considerable amount of electrical currents pulsing through the main electrical panel. To keep energy flowing efficiently as way as safely, it is features breakers, insulated wiring, and electronic components. Using a lot of power to cycle on and off, a poorly or neglected A/C service where the wiring as frayed or sustained other damage, the electrical coursing through can present a major problem. 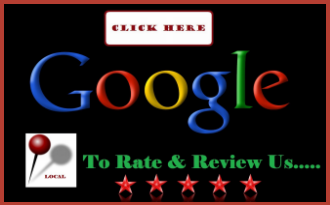 Electrical problems that your commercial or residential air conditioning unit can experience in the Las Vegas, Nevada area are easily repaired by Air Supply Heating and Air Conditioning and unless you have experience in the electrical industry, we recommend that you leave these repairs to us to avoid injury or damage to the unit. Consistently Tripping Breakers: Tripping breakers that consistently occur is a big indication that there is a faulty wiring issue. Pulling too much current from the dedicated circuit will cause the breaker to trip in order to protect the entire electrical panel for your home or business. Major fires can ensure without this automatic safety feature. If the breaker is continually tripping, contact Air Supply Heating and Air Conditioning and let our specialist rectify the problem. Thermostat: This one is something the owner can do, but more often than not, an outdated thermostat has a lot of wear with the electrical aspects. Where it can be repaired in some cases, the better investment would be to upgrade to a modernized model. Broken or pinched wires are often the cause and Air Supply Heating and Air Conditioning will assess the electrical wiring network behind the thermostat and determine condition. If the problem is the electrical wiring behind the thermostat, our experts will present solutions to remedy the problems. Periodic Power: If the power seems to be intermittent during operation, the wiring can be at fault. Outfitted with an electrical defense to cease operation when the currents rise too high, you may notice the outdoor fan being active but will stop suddenly at peak speeds. To prevent the overheating and potential fires from ignited, air conditioning will shut itself off the electrical panel. Running a full diagnostic on the electrical panel and wiring in your air conditioner will help us pinpoint any problems that need addressing. Exposed Wiring: Most air conditioners are designed as a split system that includes two separate systems; one located inside, often the attic in Las Vegas homes, and the other outside. The units are equipped with electrical wires that feed to the main housings. Any wires that have lost the outer protective covering or look frayed need to be repaired as soon as possible. These wires will produce sparks, resulting in fires. If a fire ignites, the residence, business establishment will be smoldering for hours before it is even noticed causing extensive damage. Additionally, the bare wires in contact with any moisture can cause damage to the A/C unit. Any frayed or naked wiring needs to be quickly replaced by Air Supply Heating and Air Conditioning as soon as possible. Damaged Components: Some electrical problems are more subtle. A very large capacitor as well as electrical components supplies the power to the fan. If any of these parts begin to have problems, small and inconspicuous shorts in the wiring might be the underlining issue. With the extent and complexity of the electrical wiring system that feeds into the air conditioning system, you need Air Supply Heating and Air Conditioning to find and repair any issues. No matter what the A/C wiring problems are enduring, Air Supply Heating and Air Conditioning has the expertise to properly and safely make the repairs. Call us today if your Greater Las Vegas, Nevada home or business is experiencing any electrical problems in the air conditioning system.